Before we name the breeds on the lazy dog breeds list, let’s remember that mankind developed dogs for diverse purposes. Each breed needed differing amounts of energy. A herding breed such as the Australian Shepherd, for example, was developed with energy for all-day ranch work. If an Aussie fell asleep on the job, he (as an individual) might be deemed lazy. If a sporting breed such as the Chesapeake Bay Retriever was sluggish and failed to retrieve a duck, we might call him lazy. But what if the dog breed’s sole purpose was to calmly watch over livestock? What if he was developed simply for quiet companionship? Let’s meet five “lazy dog breeds” … who were actually developed quite purposely for down time. 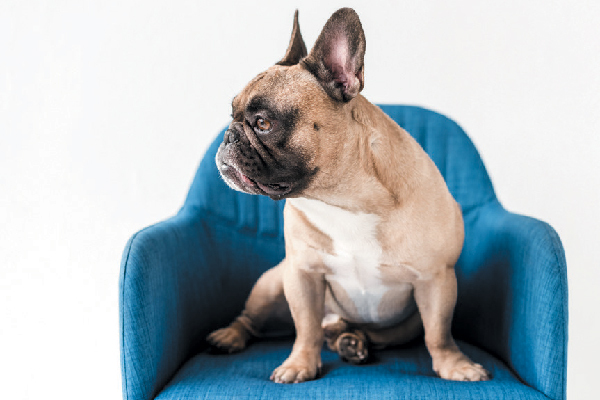 French Bulldogs are often pinpointed as lazy — but we bred them that way! Photography ©LightFieldStudios | Getty Images. We Frenchies enjoy a romp or a walk, but we also love cozy nights and kick-back days. We earn a spot on this list of lazy dog breeds because man bred us for company, not high activity. No one expects us to chase rats, herd cows, haul carts or patrol yards. Our ancestors, who were developed from English bulldogs, accompanied their lace-making owners to France after the Industrial Revolution. We became favorite buddies to Parisians, both rich and poor. Since we have no assigned tasks, no one can accuse us of sleeping on the job. Even my cousin, the Frenchie agility star Soren, was renowned for snoozing on the sidelines after he finished his run. 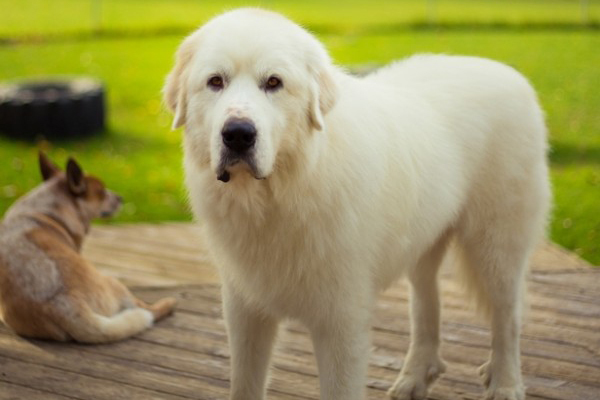 Great Pyrenees were developed to take action only in very specific circumstances. Photography by Cody Hanson Photography / Shutterstock. We’re an agile, observant guardian breed, developed to protect livestock in the mountainous areas of southwestern Europe. At an imposing 100 pounds or more, we doubt you’d tell us we’re one of the lazy dog breeds to our faces. Our restful nature connects to our working history. In contrast to a herding breed that moves the flock around, our job as a livestock guardian was to hang out with our livestock, keeping them safe. We weren’t supposed to expend unnecessary energy. Until duty calls, we’re renowned for being relatively serene. Often our presence alone deters both predators and trespassers. 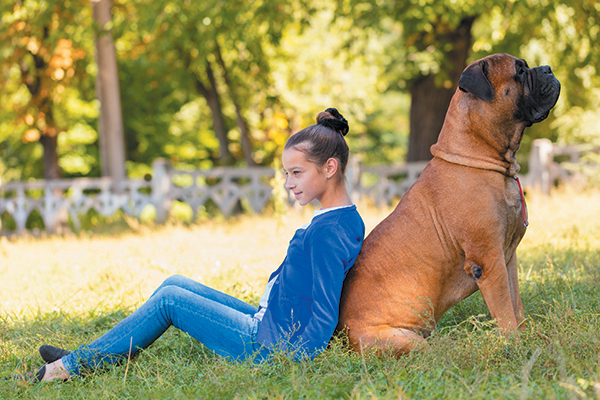 Bullmastiffs are large — and a bit lazier. Photography by Eduard Ly Senko/Thinkstock. Bred from Bulldogs and Mastiffs in mid-19th-century England, our ancestors were developed as helpers to gamekeepers. Our job was to guard game on the estates from poachers. We’d track a poacher we detected (usually at night), then spring on him and knock him down, holding him until the gamekeeper caught up. Since we didn’t detect poachers all the time, often our nights were quiet. Unlike a Terrier, expected to keep barns clear of rats day after day, our work was sporadic. We make this roundup of lazy dog breeds because, although we enjoy sports like weight-pulling, we don’t want all-day workouts or jogs with you. We need exercise, but we also take naptimes seriously. 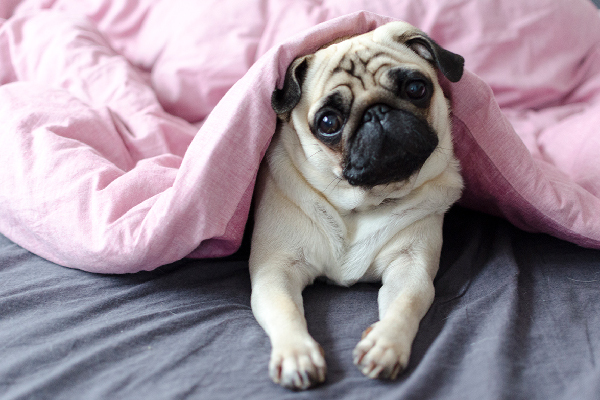 Pugs were bred to be companion dogs. Photography © Alexandr Zhenzhirov | iStock / Getty Images Plus. We don’t need to stay awake to fulfill our duties. Our principal responsibility is to offer enchanting companionship. We often sleep 15 hours (or more!) per day. Blame our heritage for landing us on the list of lazy dog breeds. Our ancestors were developed as companions to Buddhist monks and Chinese emperors. We were bred sturdy but small enough (under 20 pounds) to be carried by royals. Today, don’t let our yawns obscure our need for fresh air. Watch us transition from a snoring snooze to a frolic in lighting speed! 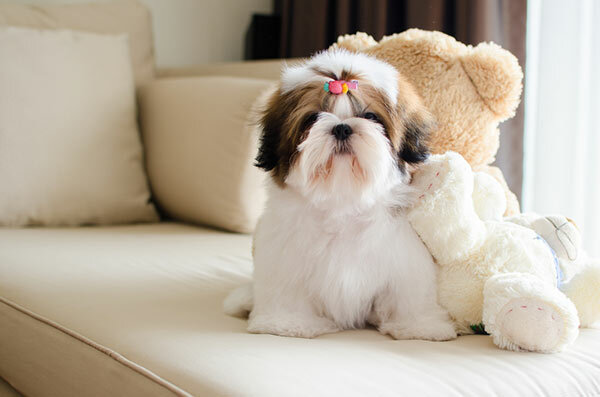 Similar to Pugs, Shih Tzus were bred for friendship. Photography by Pattarit S / Shutterstock. An ancient breed, we were developed in China and Tibet for friendship. Similar to my Pug cousin above, we come to mind when thinking “lazy dog breeds” since we weren’t expected to do things such as fight off intruders or point at ducks. What’s with that, anyway? Instead, our ancestors were sweet little lion dogs, beloved house dogs during the Ming Dynasty. We appreciate a walk, but we won’t beg for nonstop vigorous playtimes. If we define our work as delighting our families, we’re the opposite of lazy. We are the most successful working breed around! Thumbnail: Photography ©ZoonarRF | Thinkstock. Originally an attorney, Lynn Hayner has been writing for companion animal publications for 2 decades. Also a historian, Lynn studies dog breed development throughout the world, dabbles in animal law issues, and collects dog stories as she travels across the country with her husband and German Shepherd Dog, Anja. At home in Waco, Texas, Lynn kicks the dust up dancing with Anja, as well as teaching her obedience and tricks.